31-year-old Sunita Parmar, a Hindu woman from Pakistan's Sindh province is expected to contest the provincial assembly elections, to be held on July 25. She will contest from the Meghwar community and is expected to the 1st from minority community to contest. Leaders in Pakistan are on the campaign trail across the country ahead of 2018 general elections, to be held on July 25. Two votes will be cast on the same day, one for the national assembly and another for the provincial assembly. Sunita Parmar, a Hindu woman from Sindh province of the country is expected to become the first woman from a Meghwar (minority) community to contest for the provincial assembly. The Pakistan National Assembly has a total of 342 seats, out of which 272 are general seats, 60 are reserved for women other 10 are for religious minorities. Out of 60 reserved seats for women, 33 seats are for Punjab, 14 for Sindh, 9 for Khyber Pakhtunkhwa and 4 for Balochistan. 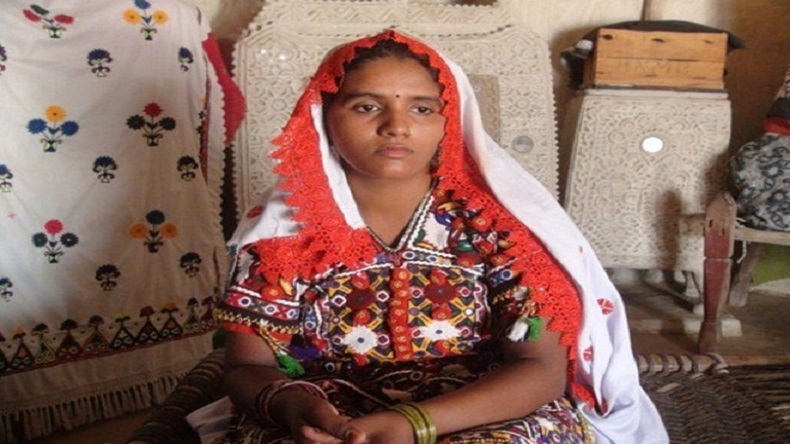 31-year-old Parmar is expected to contest as an independent candidate from the Sindh constituency from the Tharparkar district, which reportedly has the highest number of Hindus in Pakistan. Media reports suggest Parmar was persuaded to contest for the forthcoming polls as the previous government failed to deliver on its promises they had during the election campaign, which include making life better for the people of the region. In March, Krishna Kumari Kolhi, who became the first ever Hindu Dalit woman senator in Pakistan, she was nominated by the Pakistan Peoples Party (PPP for the polls to the reserve women’s seat.